331 Days ’til 40: Defining Ourselves | Fortuitous Forty!!! “We tend to treat labels as real, rather than as representations of reality.” ~ Dewight R. Middleton. Sometimes we are so anxious to define ourselves that we are diverted towards looking at insignificant definitions of who we are – defining ourselves by race, socioeconomic status, number of children, the car we drive. We find ourselves so desperate for a way to define ourselves, that we are willing to label our shell, sometimes at a significant cost and detriment to who we really are. One of my favorite quotes on this subject is from Martina Navratilova. She said, “Labels are for filing. Labels are for clothing. Labels are not for people.” So simple. So poignant. So true. We are all SO MUCH MORE than a label. When we use labels to define us, we are using labels to limit our true potential – and we are focusing on the outside, instead of the inside – we are focusing on the shell of a human, instead of the content of their character. As Soren Kierkegaard said, “Once you label me you negate me.” We lose a part of ourselves when we succumb to an identity wrapped up in a label. “I don’t care what people call me, labels have the negative value of making smaller boundaries for people.” ~ Michael Graces. Labels limit us in so many ways. They limit our self-esteem, our success, our self-confidence, and make us feel smaller. Steve Maraboli says, “Sometimes letting go is simply changing the labels you place on an event. Looking at the same event with fresh eyes.” I believe this is the same with the way we treat the people around us and ourselves. If we are able to change the labels we place on ourselves and others then we will have the freedom to look at ourselves with fresh eyes. Labels do NOT mean anything. We can certainly seek to define ourselves, yet we must understand our motives in the definition. Why do we seek to define ourselves and what exactly are we attempting to define? Are we defined by our heritage and background? By our daily roles (i.e. : wife, mother, student, lover, etc.?) Maybe we are defined by the friends we have. I would like to live in a world where individuals are truly judged and defined only by the content of their character. I want to live in a world where a person’s service to their community has more value than the car they drive. I want to live in a world where educators are valued as much as doctors and lawyers. However, until this comes to be, I want to live in a world where I am confident being me. Today, 331 days until 40, I will NOT worry about defining myself. Labels are indeed for clothing. Instead, I will seek to live my life in a way that gives back to others. In so doing, I am creating a new identity, one of global awareness and service. I hope all people one day will step away from labeling themselves by superficial terms and seek understanding of the inner character of those whose company they keep. You are so right. Our society continues to become more and more materialistic. Our children are learning to value things, labeled things, more than the soul inside. I want to live in that world too. It seems so very simple to me at this point in my life. The question is, how do we create this world? Ahh, Crystal, that is indeed the most important question – how DO we create this world? I hope we figure it out! Wow, that is so deep. Thank you so much for sharing this with me and the readers of this blog. Good work. You are truly worth the investment of one’s time. Great post! Well stated. Thank you so much! Thank you, Amy, for your encouraging words! Thank you, Shana! Yes, it is amazing when we live our lives with our eyes open! 🙂 I like your style!!! You’re right in not labeling ourselves or others..It’s a slippery slope between labeling and judging. And too much of that is done in our world already. “Judge not lest ye be judged’. it is like the chicken, which came first, the egg or the chicken……….which came first, the black or the white. i guess i will pick white, meaning virgin, clean, and then thru years of being in the wild, and fighting for his life, black was added…………. You ask a very good question: why do we attempt to define ourselves? Humans are meaning-seeking creatures, and by defining ourselves perhaps we are really trying to find what within us makes us meaningful…wonderful post! Great point, Stormy, I do agree that we define ourselves in an attempt to find meaning… then, ironically, limit ourselves by those same labels. The irony. I am actually travelling in the same boat. I will be 40 this year in August, so about 150 days more to that. But I never really thought about it in such a serious manner. Guess, I turned 40 when I biologically turned 20 so the crossing 4 decades on this planet this August will be just another day under the sun for me. Live will go on as usual and nothing much will change, hopefully. All the best for the rest of your journey of 330 days, hope to regularly catch up on your blog. sure, will keep visiting your blog to see how you are enjoying the journey :-). Its not the goal, I believe, its the journey which is more important. Forty is such a magic age. The transition is what you make it. From my perspective, I haven’t figured it all out yet at 55, but I wish you all the best in doing so. Very attractive blog and insightful posts. Thanks for liking my post. Great post! I agree – we are so much more than labels. Your posts are a really wake up call for my brain. *smile – in all honesty are we really that bad with putting labels on others and ourselves????!!! !Maybewe’re – never thought about it before. To be judgmental and narrow-minded. I think it has all to do with how are our parents and how they looked at others. Living in Belfast where there has been all that hate through generations – their hate had all to do with how their parents transferred their hate against the opposite religion. Remember a taxi driver told me that he had taken his brother to a pub that was colored by the opposite “camp” – and his reaction to the people in the pub was – they look just like us. This happen maybe only 6 years ago and an adult. I will blame our parents for this too and that is the worst legacy they can give us, but as adults we should be able to see for ourselves – but we don’t! Very true. Labels are at best approximations. Nonetheless, if we treat them with suspicion and don’t take them too seriously, they have their uses. 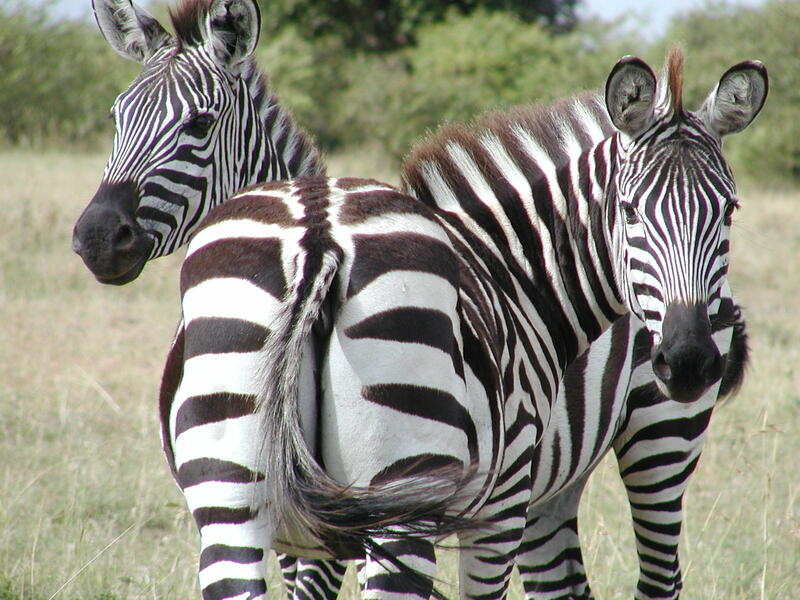 It does not matter if the Zebra is seen as black with white stripes or white with black stripes (provided the black and white bands are of roughly equal width), but it does matter that it’s a Zebra of a certain species and that it’s black-and-white. To be a mother is different from not being a mother. To be a Liberal is different from being a Conservative or a Socialist or a Fascist (though the meaning of these terms varies from country to country and from age to age, and they are one word summaries of a bundle of beliefs and attitudes that aren’t identical for any two thinking people). If I belong to a religious or political group, by my own free choice, that influences me, as it should, and it’s useful to others sometimes to know I’m a Quaker – though of course such a term carries perceptions that may be misleading, such as the common assumption that Quakers are all teetotal! To support you again a bit: I prefer to say I write poetry rather than that I’m a poet. “Poetry” I believe is a useful label, if imprecise; but “poet” carries a lot of luggage I reject. Good point, Simon! I think the key is moderation – to use them when they are helpful and reject them when they are harming us. You seem to have done a beautiful job of finding that balance! This is a great post. I remember a few years ago there was this hype about being labelled in schools. I don’t know if it still goes on now, but it always brought about a division amongst people. I share your hope on this one, though I have my doubts I’ll see it in my lifetime. All the same, like you, I have elected to live my life as me – regardless of anyones labeling or desire to do so. Oh no, thinking early in the morning!?! – Did you even get to have coffee first? 😛 I am glad to get you and others thinking, I challenge myself to the same! You write, very eloquently, a shared sentiment here. Human beings, by nature, want to be more than just a grain of sand in the great sand pile so they are constantly trying to do what you describe so they can be the diamond sitting on top of the sand. It’s such a dilemma isn’t it? Does living without a label mean being ordinary? I can remember as a child thinking I had to be a singer/dancer/writer/artist in order to “be someone” in this world but as I’ve learned for myself and my therapist emphasized this a while back – “Sometimes the being is enough. Don’t get wrapped up in the doing.” Be the person who is so comfortable in your own skin that this is how you are defined/labeled….emulated. While I certainly appreciate the sentiment that I should not label myself, I have a problem with the labels do not mean anything. Whether I want them to or not, people label me. And, not to be negative on your insanely positive blog (which I love btw), labels made all the difference to Trayvon Martin, the 17-year-old African American murdered about a month ago. He was walking home from the store and because George Zimmerman labeled him as “up to no good” and “on drugs” because of the way Trayvon was walking and the clothes he was wearing and the color of his skin, Zimmerman murdered him. So, sometimes, I think labels absolutely do make a difference. So what to do about the fact that world will always place labels on us, whether we want them to or not? Ah yes, 2 Girls Getting Married, you bring up some very important points…. a bit of a different focus of what this particular entry was about. I was talking about defining ourselves and the labels we attach – what you bring up is the reality of when others label us. I think this is a separate, but critical issue (in fact, I need to think about writing about it in another post!) You are correct, people give out all sorts of labels they should not – all sorts of inaccurate, ignorant, stereotypical labels that serve to perpetuate false beliefs and often cause great harm and damage. I agree with you, the question we need to be asking is, “what do we do about it?” We do need to know how to combat and cope with individuals who are using labels for harm… and, unfortunately this is the case with too many people in the world. 2 Girls, thanks for bringing this up. There are the labels we give ourselves, and then there are labels others try to give us. As I noted in my response below, my struggle is not accepting the labels others give me. As 400 noted, I too am so eager to know myself that I often allow others to label and define me; a negative label and definition of self is better than no definition. Nature abhors a vacuum, after all. So true. Not a fan of labeling when it comes to people. I am a fan though of labeling when it comes to a file cabinet, closet or garage. On similiar note, I just wrote a post in regards to an article a friend emailed to me about wearing a mompreneur label. She thought i would be all for it. Yep, not so much. No labels for people. Check it out if you have time, you might appreciate! Thanks for sharing your thoughts! Very nice post on labels. Thanks for sharing with us. Also, thank you SO MUCH for visiting my short stories. I appreciate it and am very pleased to know that you enjoyed them. Love the way you write. So sweet, simple,precise and to the point. Also, your usage of quotes is quite brilliant. I completely get what you’re saying; very meaningful, definitely food for thought. The people who look and actually SEE beyond the labels and who aspire to be more than that and know that that’s not all that defines one are those who go beyond the rest. Great post. I agree – why would we want to constrict ourselves with labels? Why stuff ourselves into a “container” defined by – and reinforced by – those around us? I think in labelling ourselves, something we all do in some way or other, we risk limiting our perception of our own potential. And isn’t it interesting that – in North America, anyway – when adults meet for the first time, they usually introduce themselves by name and then by occupation… as if what we do for a living defines who we are? I think we need greater focus on who we are as people. I’m so glad you found my blog because it led me to yours! Your posts are wonderful and insightful and I look forward to reading more of them. I hope you don’t stop blogging when you turn 40! We make our own reality. Two people may label us in totally different ways depending on their view of who they are and how they think people view them. Labels are pretty useless and I even cut them out of my clothing as soon as I get it home because they irritate me! They scratch and they are annoying, hmmmm…. I guess that goes for people labels as well! Nice post. I resonate with your sentiment, and I like the direction you took with this post. We can’t control others’ use of labels, and I’m not sure we should try. You are correct in pointing out that we should try not to label ourselves…but there are plenty of folks out there ready to label us. My own struggle is not allowing myself to be controlled by the labels others put on me. It takes great strength of character to recognize when the labels of others do not apply and to let them slide past. Yes, Rabid Mongoose… that is such a good point, and two of the readers have now brought it up – I need to write a post (probably in a few weeks time) about how to confront labels that others place on us….. it is an issue. I have been following this blog for a while and I have to say that these words resonated deeply within. Simple yet poignant! Hey, thanks for stopping my and “liking” my blog at thatmoneygirl.com! I nominated you for a Liebster Award because I’m loving what you are doing with your blog! Details are on my site at http//:renaissance-mom.com. I love what your writing and am happy I found your blog! If you can encourage your students not to live by labels you will have achieved something!